Work for Salesforce Advertising Studio? "Nice Interface But Little Else"
The interface is intuitive and easy to understand and campaign configuration is easy. Also, based on the targeting info you enter (ages, genders, locations, interests...) Social.com will automatically generate all of the corresponding ad groups which is a big plus. The Interactive Optimization is an excellent tool available for fine tuning campaigns. The "new" Facebook pixel hasn't been supported 100% since it launched which has negatively affected our reporting abilities. Also, LinkedIn integration is weak and after attempting to use the Social.com platform for this social network, we have given up and now use the native interface only. Social.com navigation is excruciatingly slow with long lags between pages as well as campaign launches. As mentioned in other reviews, any modifications to a campaign beyond some basic parameters require a complete relaunch of the campaign which is something that is completely unacceptable from a UX perspective. The interactive optimization is an easy-to-use tool to maximize campaign performance by allowing the user to pause/activate segments or elements of a segment including, for example, individual ads. The great advantage of Social.com is its segmentation and optimization capabilities but the downsides of Social.com are so egregious that it is hard to justify its use, especially when agility, reporting and conversion tracking are required. "design customer-centric marketing strategies. " On the higher pricing scale. implementation can be tricky, may need to modify your current workflow to accommodate the best use. If you do want salesforce to be a functional tool that actually helps your business, you do have to invest a significant amount of money in customization. Easy to find accounts and account information. If I need to know who their customers account manager is, Salesforce will tell me who is assigned. With Power Editor, the overall UI can be a little confusing to the user. But with Social.com, everything in the UI is laid out in a way that makes sense and is easy to understand. If any issues come up, I always get a quick response from our reps. I've never come across a problem that wasn't easily solved through them! One of my biggest problems with Social.com is that there is no easy way to make targeting optimizations through the UI. If we need to revisit the type of targeting we're doing, the only way to do it on this platform is by relaunching the entire thing! For any type of targeting optimizations, I use Power Editor because it gives you those options. But unfortunately, every time you use Power Editor, you'll have to sync all your Social campaigns manually to make sure that the data on both platforms matches up. There are ways to edit some things for campaigns, like lifetime budgets and bids, through the UI. But unfortunately, using bulk editing is the only way to make major changes to a campaign. It would be nice if the same kind of features used in bulk editing were readily available in the UI as well, since that is where Social.com excels as a platform. In terms of performance, the only real improvement that could be made to the existing UI is its speed, as things can run a bit slow from time to time. If you want to find out if Social.com is right for you, I'd recommend talking with one of their reps. They will help you show you what the platform has to offer and you'll be able to get a first hand look at how it works. As stated earlier, campaign launches are much easier on Social.com when compared to Power Editor. Everything is incredibly easy to understand on the platform, which makes it my preferred method of Facebook advertising. I also really like how you can add multiple ad sets to a campaign, which has allowed for some complex campaign setups with unique targeting being assigned to each individual ad set. "The best Facebook API out there"
I have very good experience with Social.com. I like the fact that I can save time while uploading large campaigns in a short time with just a few simple clicks. On top of that I love the support / advice we are getting from the team. 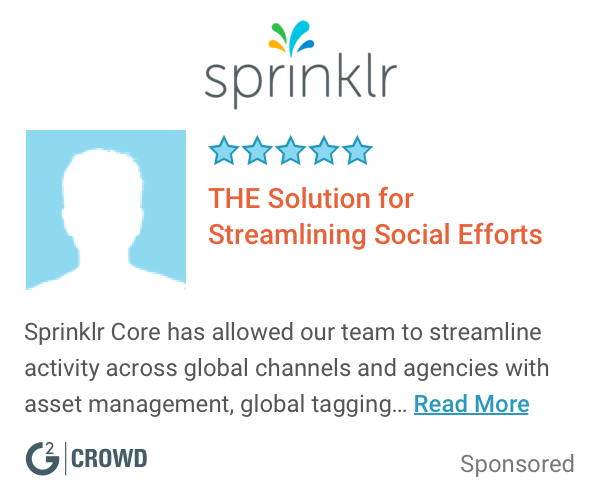 - Social.com offers everything a Social Advertising API should have! - In addition they have great support and an updated tool with time saving features! - What you see is what you get! They really thought about the advertiser when designing this API. - They have a great dashboard that gives me the possibility to optimize on the spot! I use Social mainly for retention purposes. With the Social.com team I was able to significant lower the cost and improve the result. The API itself was also of great help. It's what you see is what you get, but including advanced targeting features. "2 years social.com user !!!" Social.com has one of the best UI platform design of any of the PMD SAAS I worked with. Great flow for creating campaigns, ad sets and ads (including bulk uploads). Very good search filter, helps segmenting the campaign list as needed and easily. 1. Interactive optimization tool is AWESOME but still lacks the bulk options. 2. Ad set list got to be improved and finalized to reflect the Facebook structure. 3. You have to log in manually every 30 minutes because the system kicks you out automatically. Bulk operations on different campaigns and different markets. Easy to copy and clone successful campaigns. I've been using salesforce to build, promote and report on our Facebook campaigns for a long while now and what I like best of the platform is the fact that you save a lot of time building campaigns through the bulk uploader. I also love being able to monitor all my campaigns in the dashboard and optimise them by taking into account all the different metrics that you can pull such as the CPM, Audience Size, Reach, Audience penetration percentage, CPC and make changes accordingly in order to deliver successfully my campaign objectives. Last but not least, I really like how knowledgeable of the social landscape the support team is and also how quickly they address my requests providing all the support and guidance that I need, where it be on email or on a phone call and taking the time to provide me with the right answers to my needs/issues. I'm not too happy with the speed the platform operates at frequently. I feel that it takes a lot of time when you are moving from one tab to another as each tab is a different page and then it takes quite a while to load making the process slower in the end. If we compare it to Facebook, Facebook's Power Editor's interface layers out all the different tabs within the same page helping you save time. I have to say also that sometimes with my team we've found slightly frustrating that the passback of the data from Facebook to Social.com is inaccurate. Time saver with the bulk uploader. The key KPI for our client at the moment is to drive online sales, for which we have to rely heavily on conversion tracking. Conversion tracking metrics on social.com provide us the results and learnings we are looking for in order to evaluate the performance of our campaigns and the reports we get from social.com help us in doing so. All of the above mentioned helps us in delivering our client's KPI's. "Awesome features but still missing some basics." The support rep we have is awesome. He is very helpful and is quick to respond. The feature I use the most is the bulk upload tool, using spreadsheets to create new campaigns. Bid rules make managing hundreds of campaigns very easy. Otherwise, it's a very easy interface to navigate through. Social.com is missing some features that would help with efficiency. Filtering campaigns are such a pain on Social.com due to the lack of negative filtering. For example, there's no way to search for campaigns that "do not contain" XYZ in the campaign name. There is no way to label campaigns. For example, if I am pausing a group of campaigns that need to be re-activated at a later time, there's no way of being able to label them for easy reference. It would be a lot easier to put a label and find that group of campaigns easily. It is also missing a key feature of scheduling campaigns to pause/reactivate at a certain time--although I hear this will be included in a new update. Also, I often encounter errors when trying to bulk upload new campaign builds. This is usually the case when I have ~1000 ads I need to upload at once. In order to learn how to effectively use bulk sheets, I recommend creating a campaign manually in the interface, exporting that campaign into a spreadsheet and then using that as a template to make more campaigns. We use Social.com for Facebook to acquire and retain existing users of our clients' Facebook app on desktop and their mobile app for Android and iPhone. I specifically work on the retention side of the business and mainly responsible for generating clicks/app engagements at a target CPC. Bid Rules have helped us stay below our target CPC consistently, month over month. Thank you for your robust feedback and your kind words about our advertising platform. We thank you for continuing to be a customer of Salesforce. We hope you are satisfied with our recent release, which enables you to set automatic optimization rules to custom raise and lower budgets or bids at any hourly or daily interval. That should achieve the scheduling effect you desire. In regards to the 'negative' searching of campaign, ad set or ad terms, we're very sorry for the confusion, but this is currently achievable with our search filter through the ~ symbol. For example, once you have filtered to see all of your US campaigns for a certain client, you can apply a search for "~ DPA" to exclude all your dynamic product ads for instance. For any more information on this your account manager will be happy to talk you through this. "SO much better than the Facebook UI/Power Editor!" The amount of time saved when creating, managing or reporting on Facebook campaigns. The interface allows for everything to be done easily and quickly at scale, and is logical and intuitive. The level of service in both the UK and Australia, across four companies has always been absolutely exceptional. The tool can be clunky at times, and there are occasional bugs, but that is the case with any tech (particularly with Social) and the team are very responsive and proactive when it comes to dealing with any issues. Primary business problem is the time required to set up Social campaigns with any small amount of sophistication and audience segmentation. Social.com solves this issue, allowing for the creation of multiple ad sets and any number of targeting groups and creatives, segmented however you want them to be. Then it allows for the optimisation of the ad sets at a high level, allowing us to maximise performance easily, and provide the client with higher level targeting and creative insights. "Social.Com is a intuitive & easy to use platform that's excellent for all your paid social needs"
It's really easy to upload and edit campaigns, adsets, and ads in bulk from the interface. There's a comprehensive and newly updated rules system to ensure campaigns behave properly over the weekend or during off hours. The optimization is a breeze in their optimization section. The campaign builder in the UI is really clean and easy to understand. The campaign view grid is really clean. Building interest/keyword clusters is super easy with their "also include..." options in the campaign build section. Their support staff is dedicated and extremely helpful; they're always willing to help find out things that may even be outside their scope. Social.Com helps us with scaling our paid social campaigns in order to hit the reach and spend that we want. It's allowed to do this and continue to optimize our campaigns effectively. "Easy user interface, but can be buggy at times"
As someone without an extensive social background, it's an easy to use platform. Even when there are updates, the user flow is easy to understand. Sometimes, for no reason at all an ad can't be uploaded or saved as a draft. Sometimes I find if I change an input and change it back, it will let me upload, but that can be frustrating especially when trying to show someone else the product. Trying to drive engagement with a branded Facebook page. Targeting has been one of the key factors in this. "This product is amazing -- all mobile marketers should use it." What I like best about this product is how well it facilitates our ability to perform quality data analysis, from looking at the performance of an individual creative, to capturing the big picture such as what have been the general trends for our marketing campaigns. As with any robust platform, it will experience back-end mishaps every once in a while. For example, one time I logged in to see that every marketing campaign was spending > $10,000.00 when I had set the budget limits to $100.00. You can imagine how freaked out we were. It was of course erroneous data. With that sad, the sales force team has always been extremely diligent at addressing our concerns and updating us with how they're resolving problems. I would recommend that users of social.com really dive into their data and become comfortable with every detail of their campaigns. At times, it's easy to get discouraged by lackluster performance. The beautiful thing about social.com is that it allows you to identify not only what is under performing but also why, and make adjustments accordingly. It's the type of product where time spent on it is directly correlated with increased success and ROI for your business. Another recommendation I would make is not to be afraid of taking risks when it comes to designing creatives. Sometimes, what looks great on your image editing software might not perform so well in practice. Vice versa, there are creatives that may look weird at first but end up performing extremely well. Be skeptical of every campaign and leverage the tools of social.com to tell you what is really working and what isn't. We want to get our health apps in the hands of everyone that wants to use technology to lead a healthier lifestyle. Salesforce's product allows us to do this in an analytically-driven, sophisticated fashion. We are able to reach thousands of users every day that share these interests or at least want to begin to lead healthier lifestyles. "All in one social media advertising solution"
Social.com allows us to organise multiple Facebook advert accounts in one place. From here we can allow access to multiple users including those in account management and in accounts payable. The interface is clean and easy to use (mostly) and the support team are knowledgable and efficient. Error messages can often be confusing (as the are called directly from the API) and accounts with access to multiple FB pages can take a while to load (especially whilst trying to choose an account). We have used Social.com and it's previous incarnations for all our FB and Instagram advertising for some years. Our new staff find it intuitive and easy to use which is important in the agency world. I primarily use social.com for FB and nothing else. The different targeting functionalities and the way you can segment data for reporting purposes is very informative. "Social Coordinator Using Social.com for Facebook Ads"
First and foremost we have a fantastic rep that we work with. She's reachable at all times and makes us feel as if we're her only client. When we have issues with anything on the platform, she works hard to get us a timely solution which we really appreciate. Regarding the software, I think that its just easier to use than PE for Facebook. The flow is easy to understand and we love that we can break out age and gender without having to create each ad set individually on PE. It's super easy to copy over campaigns as well and is just very efficient for us. The biggest issue we've had is the lag time between when you post something on social.com and when it reaches Facebook. It's been the case where we've posted something and not til hours later do we see that it never went live. Because of this it is sometimes hard to justify spending the money for social.com when we can do the same posts in PE and see immediately if the post is live. Additionally, we dislike that you can't copy/relaunch campaigns that never went live. It's frustrating when you set up multiple campaigns and have to completely redo them if they have an error. Lastly, we're hoping for the day that we can run on Pinterest via social.com but know it's not an option at the moment. Reporting is easier for us when we can break out age and gender so easily by ad sets in social.com. This saves time for us at the end of the month when we're rushing to get reporting done. Copying campaigns is super easy for us as well which saves time! It works best when you need to upload bulk of campaigns. It's very easy to switch between and see total numbers. Campaign set up is very straight forward. 2. When clicking between products and campaigns, the date doesn't stay the same. It defaults to lifetime. 3. When switching to different campaigns, the filter doesn't clear. It still has the last thing you searched for. 4. Lag time in reporting from Facebook UI and Social.com's UI for day of. 5. That there is no reporting feature that you can export. Only excel's. "Review about Social.com I must say please use it"
Social.com is best platform for advertising. It is easy to use has equal ability as facebook and other social networking site. Also it smooth to use. Best for small as well as big company. No any word to say dislike. we use it for advertising for us no any difficulties for advertising . For other i recommend to use this for advertising . For me the easy to use this feature solve my almost all problem. This give all in one . "Social.com review...great platform for advertising"
The platform is simple for social advertising . and no one see this . "Amazing platform and outrageously good service! " I love the performance functionality of the product, it really lends itself to generating results for a diverse set of clients. I would like to see the product marketed a little better - there are some really good features but often they have funny or weird names that don't resonate with my team. The service we receive on top of the platform is actually better than that of Facebook and Twitter directly in most cases. We use the full suite of service to impact our clients. We are tying to remain ahead of the curve with social, and we often can leverage cool features to generate better results for our clients. Our business challenges with our client partners is being different and better - the platform allows us to be better, but sometimes not so different. "Working with social.com 6 months"
very easy interface for social.com. Spend some time doing test campaigns to gain knowledge of platform. Having all our digital buys in one space. "Decent Product with a few kinks to work out." The product is pretty user intuitive and has an easy workflow that allows users to easily figure out how to launch a post. It had a good step by step process that most people would be able to follow. We're amplifying social media content for our client and using the tool to easily create our specific target audiences. The tool is pretty helpful in aiding us with reaching our correct audience. "Using Social.com makes work easier"
I like the UI, it's very easy to use. Even when there's a new feature I can usually figure out how to use it very quickly. Some time it takes a long time till Social adopts new Facebook features. Uploading multiple campaigns in one click. It's very easy to use the Social.com spread sheets. "Working with social.com for the last 3 years"
Option for rules that really does work. Filtering by client and products. It takes time until new features are out. You don't get all the views you get on Facebook, which are pretty important. Scaling, social.com is easy to scale. Because of the bulk uploading and the friendly graphic design. Easy to manage hundreds of campaigns. I like the interface for setting up Facebook campaigns. The recent changes to the interface when setting up Facebook campaigns. We deal with a HUGE number of advertiser pages (we look after clients that each look after a large number of music artists) and when trying to locate a page we have to scroll through a tiny box that updates for so long. it take up a huge amount of time. Reaching an engaged and young audience via the likes of using the platform for Facebook and Instagram. - Easy to use and understand UI - the campaign creation flow is efficient and only getting better. "Social.com overall works, but has many flaws"
The delays of notices when things go wrong and if bids do not work. Add Pinterest to the platform! "social.com allows for quick campaign creation and easy optimisation techniques"
Fast and reliable account management, clear interface with easy step by step process very similar to the Facebook UI. occasional bugs and downtime when new features are released but these are usually resolved quickly. determining cost efficiencies for clients running social advertising. Able to quickly set up campaigns within the platform for different KPIs which enables us to realise a balance between media value versus time spent. Ease of uploading facebook campaigns and changing the bids and budgets quickly for one or multiple campaigns. the date changes at the top constantly when switching pages and it can be quite frustrating. managing campaigns as a whole and scheduling these. "Social.com is a good tool to manage multi market social campaigns "
"A smooth and efficient social advertising platform"
Everything I would want in regards to social advertising in one simple platform. Nothing to really dislike. There are lags between updates on facebook and twitter and social.com having it but they are quickly closed by an expert staff. Simplicity. Bringing multiple software solutions into one. 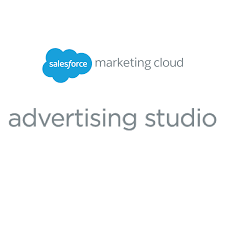 Learning about Salesforce Advertising Studio? * We monitor all Salesforce Advertising Studio reviews to prevent fraudulent reviews and keep review quality high. We do not post reviews by company employees or direct competitors. Validated reviews require the user to submit a screenshot of the product containing their user ID, in order to verify a user is an actual user of the product. Hi there! Are you looking to implement a solution like Salesforce?